The Steelers tendered Hilton to a one-year contract Thursday, Ed Bouchette of the Pittsburgh Post-Gazette reports. 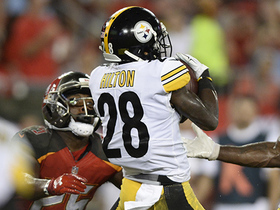 Analysis: Hilton was an exclusive-rights free agent and the Steelers' act of tendering him to a contract effectively puts him under Pittsburgh control for 2019. The Ole Miss product will look to compete for a rotational role at cornerback this offseason. Hilton had one tackle (solo) during Sunday's 16-13 win over Cincinnati. Analysis: The second-year defensive back experienced a slight decline over his rookie year, but still finished the 2018 season with 57 tackles -- including one sack -- adding two fumble recoveries and one interception in 15 games. 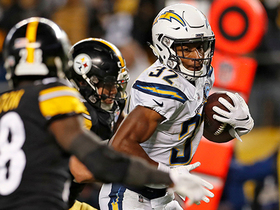 Hilton is an exclusive restricted free agent and his play the past two years should merit consideration from the Pittsburgh front office for him to be re-signed. Hilton had a team-high six tackles (all solo) during Sunday's 31-28 loss to New Orleans. Analysis: The second-year defensive back has put together a string of four solid games during which he has recorded 27 tackles and a sack. 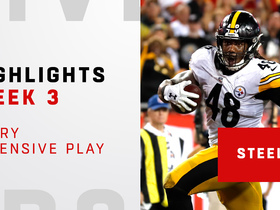 He'll look to keep the momentum going in Week 17 against the Bengals, whom the Steelers defeated 28-21 earlier this season. 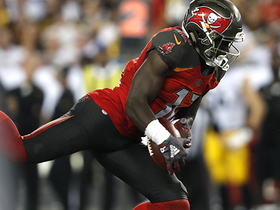 Hilton recorded seven tackles (five solo) during Sunday's 17-10 win over New England. 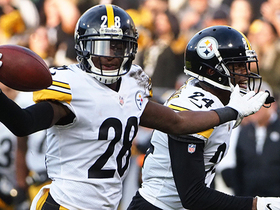 Analysis: The win snapped a three-game losing streak for Pittsburgh, allowing them to retain their divisional lead over Baltimore. 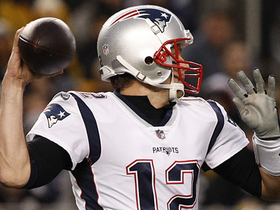 Despite never trailing, the win wasn't assured until the defense ended Tom Brady's comeback attempt in the final minute of the game. The Steelers face the Saints in Week 16. 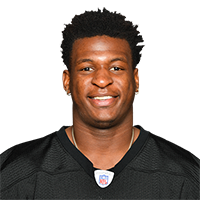 Hilton logged a team-high eight tackles (six solo), including a sack, and also recovered a fumble during Sunday's 24-21 loss to Oakland. Analysis: The sack was Hilton's first this season, and his eight tackles were one shy of matching his single-game high. It still wasn't enough to avoid extending Pittsburgh's losing streak to three games. 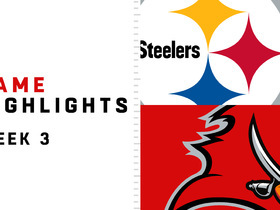 Week 15 won't be any easier against New England, a team the Steelers last defeated in 2011. 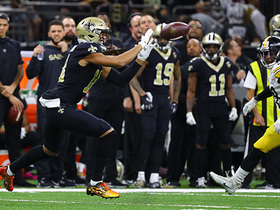 New Orleans Saints quarterback Drew Brees throws a pass to his wide receiver Keith Kirkwood for 23 yards. 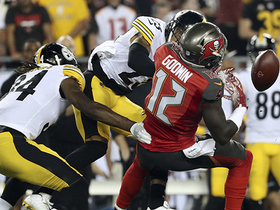 Tampa Bay Buccaneers wide receiver Chris Godwin's would-be touchdown gets overturned against the Pittsburgh Steelers in Week 3. 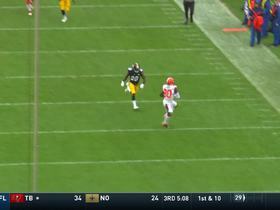 Cleveland Browns wide receiver Jarvis Landry stumbles in the Pittsburgh Steelers territory after catching a wide-open pass for 39 yards.